Please see your counselor if you have any questions. Tryout packets will be available in the ASB office. You can also download and print the packet here. 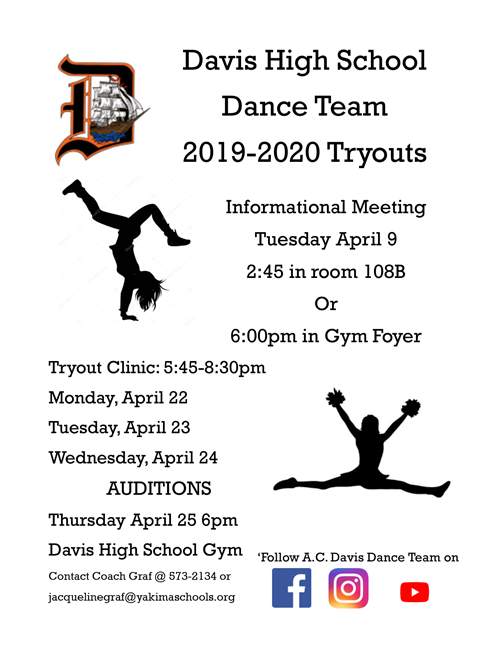 Tryouts are open to all incoming freshman and Davis students grades 9-11. Click the flyers below for details on upcoming Prom related activities. Pleas note: the health clinic will only be open when school is in session. Non-school days the clinic will be closed. 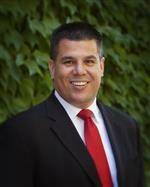 Comprehensive Health of Central Washington is also serving as a Mental Health provider. Parents, if you have any questions about the Davis Health Clinic Ryan Bogges and Gabby Arteago Ramos will be staffing the clinic during office hours. They are available to answer questions from parents, students, and staff. Students, if you have any questions about the Davis Health Clinic please see your counselor or Michelle McGuirk. Information regarding IB Testing Dates for Davis High School and IB examination information. Monday: 1:35 p.m. to 5:00 p.m.
Tuesday, Wednesday and Thursday: 2:35 p.m. to 6:00 p.m. Junior and senior students provide tutoring under the supervision of Davis teaching staff. Certified teachers provide supervision and advanced tutoring. Tutoring and access to computers. Help with homework and projects. Assistance with research and resumes--as well as college and scholarship applications. All Yakima School District students are welcome to use the program. Elementary students must be accompanied by a parent or guardian. Middle-school students must be accompanied by a parent or guardian and meet with Mrs. Greene during their first tutoring session. 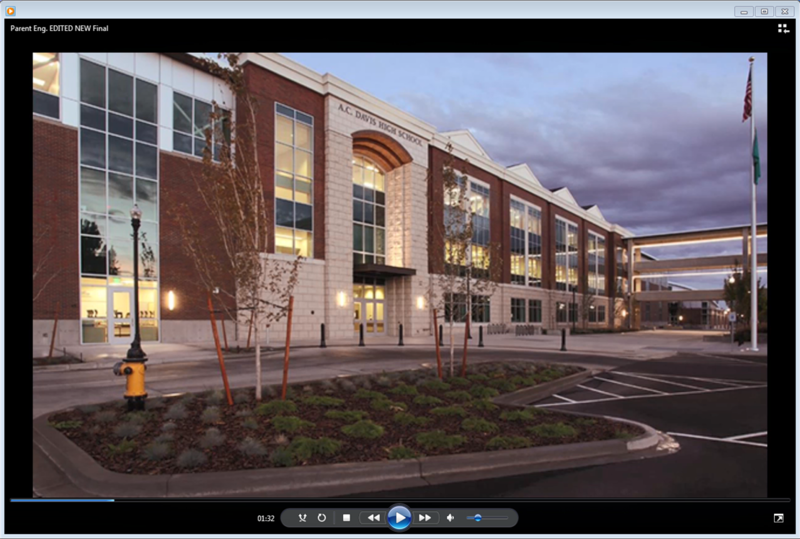 Click the headline for a video to help parents and incoming students learn more about Davis. The video was produced by students in the Film Production and Photo/Video Leadership group and edited by Mr. Rist. The AC Davis Sideline Store is now active. 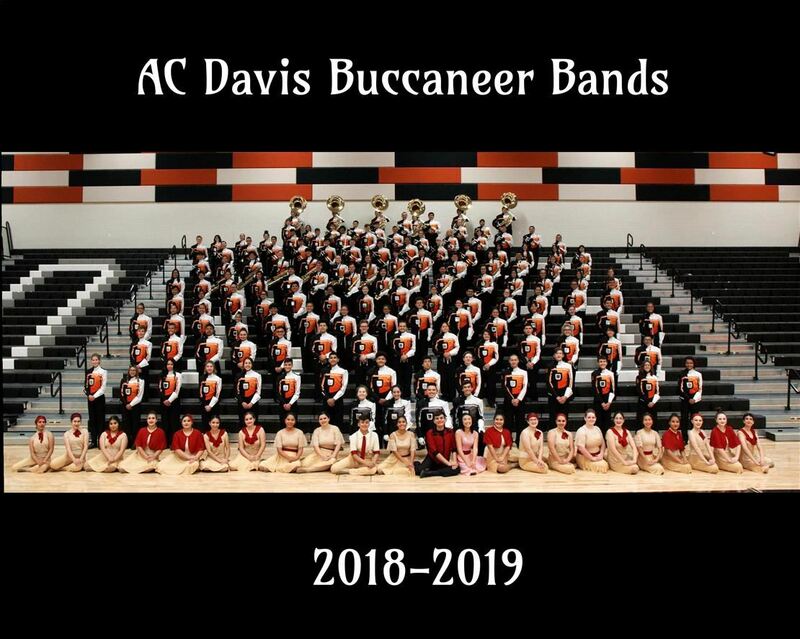 Click the banner to get your AC Davis apparel. The drawing and painting classes at Davis invite you to the 2019 IB Visual Arts and Senior Advanced Art Exhibition. The opening will be March 11th from 6:00 pm – 8:30 pm in the AC Davis High School KIVA. IB Art students will be there with their work to talk to people about their individual themed exhibit. The exhibition will continue at 8:00 am - 4:00 pm through March 15th for parents, students, staff and community. The show will display individual exhibitions from each of our IB Visual Arts students, as well as the advanced art students work that they have done while at Davis. Viewers will see the visual results of imagination, effort, and perseverance by our Davis art students. 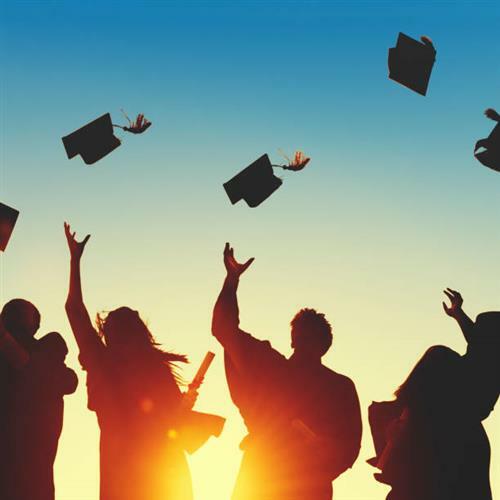 Unlocking the potential within each student, increasing imagination, as well as creative, critical thinking and problem-solving skills are in great demand in our world today. Art classes are designed to increase these skills. The IB Senior Art Exhibition is only one part of the IB Visual Arts program. Each IB student will present their theme through their own original resolved artworks accompanied by exhibition texts and a written curatorial rationale that defends and articulates their purpose and intention for each piece that is to have global and cultural connections. The themed work is based on student choice and executed from the skills, techniques, and knowledge they have gained from the program. The results have been amazing because most of the IB art students had VERY limited knowledge and experience with art, so beginning art also needed to be added to the already full program. IB students are beginning artists with advanced art student’s tasks, demanding imagination and higher level creative and problem-solving thinking, so students have worked extremely hard to meet these standards. The individual student exhibition is one portion of IB Visual Arts with a process portfolio, and a comparative study based on art history completing the program. 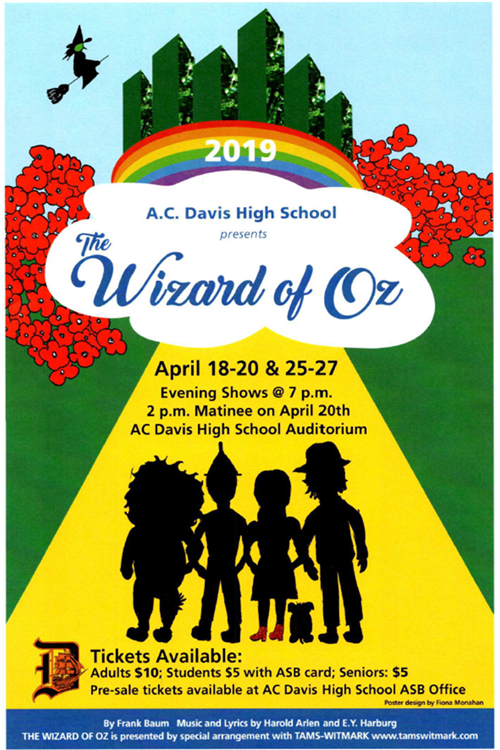 The Senior Advanced Art Exhibit will be from the advanced drawing and painting class and will be artwork that students have created throughout their time in the art program through this year and previous years at Davis High School. They have taken beginning art, as well as some students have continued in advanced art. The artwork is a result of student choice, exploration and investigation in new techniques, media and personal findings through developing their creative, critical thinking and problem-solving skills. Some art students have had work in fairs and competitive exhibits, as well as several, have sold or done commissioned work over the years and may go into a field of art. Davis High School's Senior IB Visual Arts and Advanced Art student art show is coming up in March. It will be in the AC Davis KIVA from March 11th-15th. 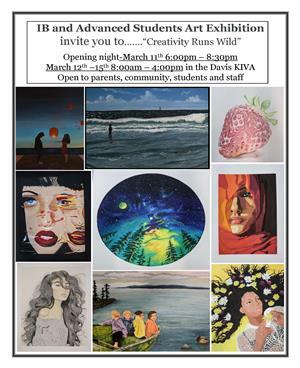 Opening night will be Monday, March 11th from 6:00 pm - 8:30 pm and each IB student will be there with their individual themed exhibitions, as well as the senior advanced art students. The show is open for family, staff, community and daily student class tours to see. On the 12th -15th the show will be open from 8:00am-4: 00 pm each day. The exhibit will display about 150 students work from my drawing and painting classes. There will be close to 300 pieces of artwork on display and some pieces will be for sale by students. We hope to see you there! The nine Intensified Algebra teachers at Ike, Davis, and Stanton are all seeing high rates of success for students! A big shout out to MaryKay Velikanje, Shauna Heilman, Ellen Rundgren, Kevin Calkins, Eduardo Gonzalez, Michael Guaglianone, Marc May, Juan Monroy, Vicente Villanueva, Collette Hefner (YSD Math Instructional Specialist), and Kris Lindeblad (Dana Center Coach) for their focus on positive classroom environments, visual math, engaging instruction, high quality formative assessments, and collaboration. 98% of YSD Intensified Algebra students have been successful so far! 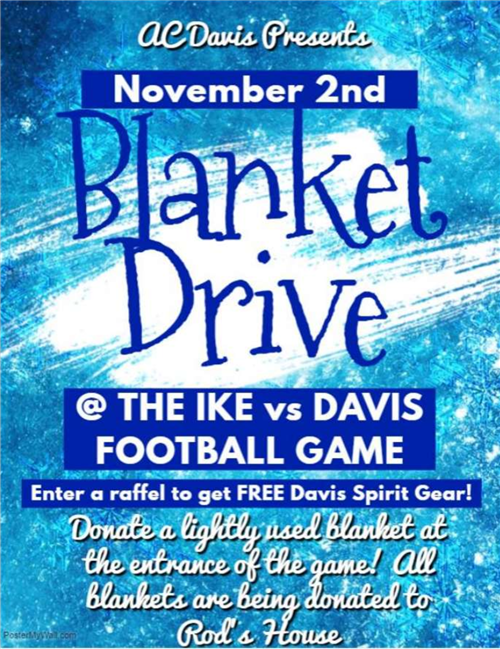 A group of AC Davis Seniors will be hosting a blanket drive this Friday at the Davis versus Eisenhower football game at Zaepfel Stadium as a community service project. The students will be collecting new or slightly used blankets to be able to donate them to Rod's House for those in need. Any collections would be greatly appreciated to support the families in the communities throughout the Yakima Valley. There will also be a raffle that will include all participants of the donation, where the hosts will be giving out Pirate gear including shirts and other fun accessories for the winners. Please join us at the game to support both our football team and the Yakima Valley.